Do you love to travel? Are you looking for some stunning world map decor with which to decorate your home? 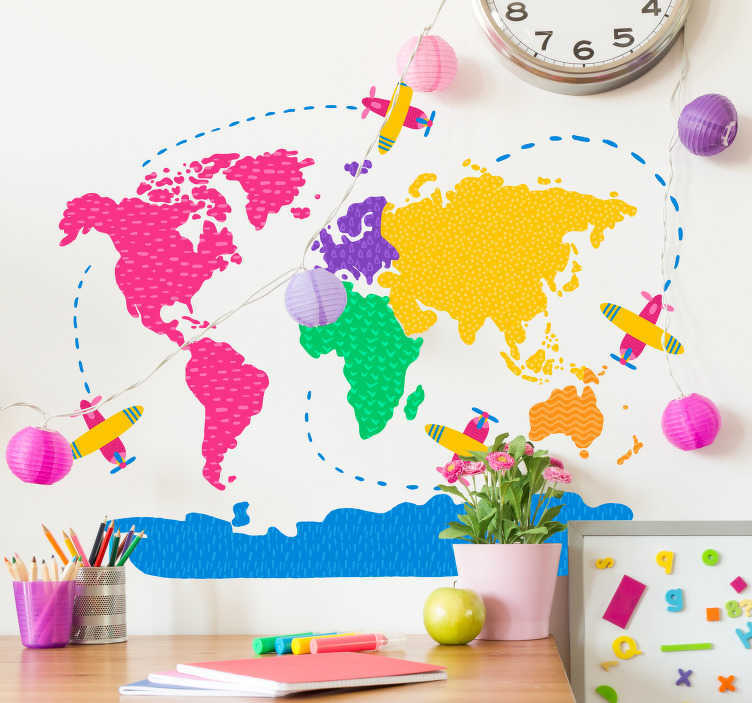 If you are still reading and still nodding your head, then this world map decal might just be ideal for you! Depicts the different continents in different colours, with flight tracks around them to portray that some serious travelling has been done!